UA Charged 24/7 Low Review - To Buy or Not in Apr 2019? The Under Armour Charged 24/7 Low is an inexpensive running shoe that provides a blend of fashion and performance. Perfect for the runner who’s looking for an attractive sneaker with all the features of a traditional trainer. 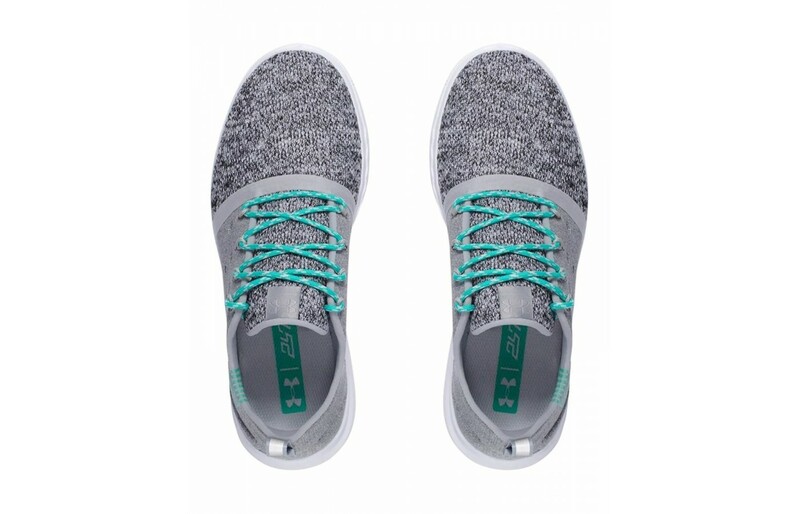 The UA brand shoe may look more like a casual sneaker than a running shoe but it combines, comfort, breathability, and responsive cushioning, making it a great everyday training option. If you’re looking for a shoe that you can wear for workouts and wear out to a casual dinner, the 24/7 is a solid choice. The majority of reviewers really loved the look of the UA 24/7 Low and cited it as the main reason for purchasing the shoe. But, plenty of users were taken aback by the fit and feel of the shoe. Where many expected a sloppy fitting sneaker with no support, they experienced the complete opposite. The UA shoe features a rubber outsole. There's nothing too technical about the outsole but it does provide decent traction, according to reviewers. The outsole works for both indoor and outdoor training situations. That's really all there is to say about the shoe's outsole. Nothing stellar, but it works as intended. Reviewers didn't have any issues related to durability or function with the UA shoe's outsole. The Under Armour Charged 247 Low utilizes Charged Cushioning in its midsole to bring users a solid blend of responsiveness and protection. Under Armour uses Charged cushioning in many of its shoes for good reason. It feels great, provides solid impact protection, and is incredibly responsive. Reviewers liked the combo of form and function, especially appreciating the comfortable midsole cushioning. The foam cushion also provides support and a nice feel underfoot. Many users felt the shoe worked well for walking. The Charged 24/7's upper is made of lightweight material. The front of the shoe is made of a mesh material while the rest of covered in what looks to be a leather-like fabric. The upper is incredibly lightweight and features cord laces that some reviewers found a bit thin for their liking. Reflective strips are scattered around the shoe; in the lacing area, the logo, and heel tab at the back of the shoe. A soft Bemis contouring around the ankle opening of the sneaker feels comfortable against the skin. Reviewers found the shoe to fit true to size (although, a few users found the 24/7 Low ran large). Users also liked the pliable upper. The flexible material is comfortable but durable. A common complaint was that the laces were poorly made. Reviewers say they're tough to tie and come undone easily. Many folks did, however, appreciate that the UA shoe was super easy to clean. We couldn't find a listed weight for the 24/7 Low from Under Armour but reviewers nearly all commented on how lightweight the shoe felt. The shoe is lightweight from top to bottom and works well for those who want some cushioning for protection but still seek a minimalist feel overall. It helps that the Charged Cushioning itself is super lightweight. That way, users get plenty of impact protection without having to experience a clunky, weighed down ride. The Under Armour Charged 247 Low's lightweight upper design impressed a lot of reviewers. The upper is flexible and comfortable against the skin and really allows air to circulate. It's a great warm weather shoe. The forefoot features a mesh covering while the rear of the shoe is covered with a leather-like material. You'd think the leather-ish fabric would hamper breathability but it doesn't, according to reviewers. The fit, too, is true to size, so nothing feels overly snug or tight. 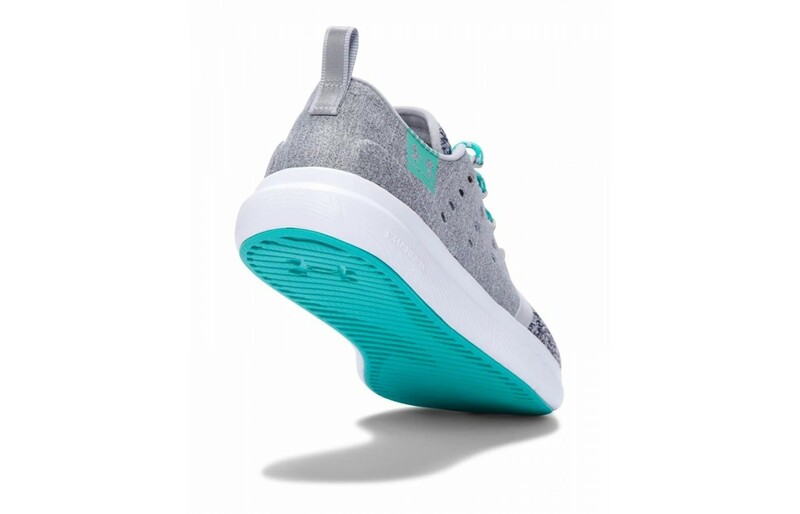 Most reviewers found the UA shoe very comfortable but admitted that they purchased the shoe for its unique look and attractive design. Still, a lot of users ended up pleasantly surprised when the discovered the great feel of the midsole's Charged Cushioning. The fit of the shoe, too, pleased reviewers. The flexible upper is not just breathable, it provides a great fit. A few reviewers reported issues with the low-top design of the shoe, saying that the ankle collar caused the shoe to rub against the skin and create blisters. A higher cut sock is likely the solution to this problem and an easy fix. Some reviewers also mentioned sizing issues with the UA Charged shoe. Most users were able to fix fit issues, however, by sizing up or down accordingly. Others pointed out what is probably the biggest issue with the UA shoe: the lacing system. The laces are attractive and the thin design looks great on the sleek shoe, but it doesn't work very well from a functional perspective. In terms of comfort, the laces are hard to tie and don't allow users to adjust the fit of the shoe properly. They also come apart really easily, which is not exactly a fun thing to experience when you're trying to focus on your run. Low-top Under Armour shoe doesn't look like a traditional running shoe. At first glance, it looks like a fashion sneaker. You wouldn't expect to find protective, responsive cushioning sitting in between that stylish upper and chunky outsole. Despite this unique look, the Charged 24/7 performs on par with other running shoes. 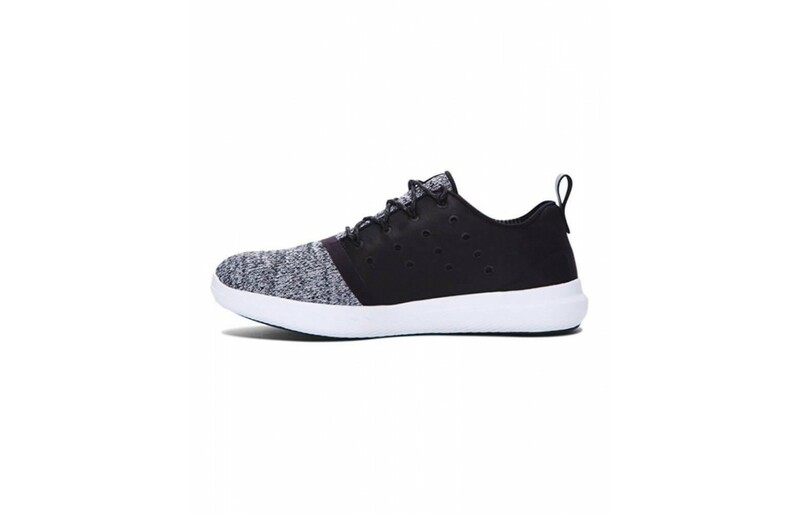 Most reviewers admitted, though, that they were drawn to the shoe because of its casualwear look, not expecting to wear them for fitness activities. And that's the lesson here, never judge a shoe by its design! Certainly not the 24/7 Low. The men's version is available in navy, black, and two grey tones. For women, the shoe comes in black or grey. Each colorway features an eye-catching contrasting white outsole. The color choices all look great and are neutral enough that they'll match with most outfits, running or otherwise. One issue with the design of the shoe is with the lacing system. It's true, the laces look great. They fit right in with the fashion-oriented aesthetic of the 24/7 Low. But, they're not very functional. Reviewers complained about the laces coming undone and being tough to tie. They're thin and flimsy and could really use a makeover. The Under Armour shoe doesn't have any special design features to enhance durability, so expect to get about your average amount of mileage out of them. The shoe obviously features a quality construction, which reviewers pointed out as well, but they're also lightweight, so they will eventually stop being useful for running purposes. Thankfully, they look so good you could still get away with wearing them long after they've lost their use for run training.Keep in mind, if you decide to wear these shoes for more than just running, they'll wear out faster. That's to be expected, though, and not at all a flaw in the design of the 24/7 Low. The Charged 24/7 sneakers offer a standard amount of protective features. The outsole provides an average amount of traction to prevent accidents from happening in slippery conditions. The upper is form fitting but breathable to prevent overheating. And then, there's the outstandingly comfortable Charged Cushioning in the midsole. The Charged material adds a layer of protection to help prevent impact injuries and it makes for a great ride. The Under Armour Charged 247 Low's midsole cushioning is also super responsive, reviewers reveal in their comments. The cushioning offers a nice blend of support, comfort, and energy-return. There's also an insole made of EVA foam inside the shoe that adds another layer of supportive and responsive material underfoot. The support you'll get from this shoe comes from several areas. Namely, the upper design, which users felt provided just the right amount of support. The Charged midsole cushioning, too, provides a supportive base layer underfoot. It offers a balance of firm support and comfort so runners get the best of both worlds. Inside the shoe, there's also an EVA midsole that adds an extra layer of comfort and support. Reviewers also commented on the fact that they felt the 24/7 shoe provides good ankle support, despite its 'low' designation. Chances are, you're probably not going to want to head off to run on muddy trails with this Under Armour shoe. It's just too good looking to ruin. Thankfully, the upper material is fairly easy to wipe down and clean, but regardless, it's not a trail shoe. The shoe works for both workouts indoors and outdoors thanks to its super breathable upper, outsole with decent traction, and its Charged midsole cushioning. You don't need to run in the UA Charged Low to realize that it's a great value. Its pros outweigh its cons by a mile. It's not only stylish but functional, as well. It's not always easy to find a running shoe that combines fashion and form so effortlessly, but the UA 24/7 achieves that feat. It's also super versatile for that exact reason. Wear it to run a morning 5K at the track with your running group and to brunch with your buddies where you chat and socialize. The outsole is made of pretty standard rubber. Nothing special to note and the same goes for the grip abilities of the UA 24/7. Don't expect miracles if you encounter ice or wet grass, otherwise, the shoe is plenty grippy enough for most use cases. Reviewers found the shoe fairly flexible, particularly the upper. It's pliable but durable. The outsole is a little stiffer, which helps with overall stability, but it's not so rigid that the shoe feels like a wooden board on your feet. Reviewers had no complaints about the flexibility of the shoe and were happy with the way it felt on the run, around town, and on walks. The Under Armour Charged 247 Low is a neutral shoe, so there's no medial post or anything of that nature. That's fairly obvious considering the shoe's sneaker-like design. The stability you get from this shoe comes from the snug fitting upper and the ankle collar design. Users felt the shoe actually had more ankle support than expected, considering it's a low-top shoe. The UA shoe features a drop of 10mm. It's not terribly noticeable, said, reviewers, though. The shoe will likely work for both forefoot and heel strikers. If you're concerned about infusing some style into your running shoe wardrobe, the Under Armour Charged 247 Low is an excellent choice. It's a hot looking shoe with upper detailing that looks expensive but isn't. It's fashionable but comfortable. Wear it to and from the gym or out to brunch. The cushioning doesn't just protect you from the impact of running it's also mega-comfortable. The upper doesn't just look fly, it's breathable and lightweight. If you're nervous about spending your money on yet another pair of shoes, don't be. The UA sneaker is a great buy. 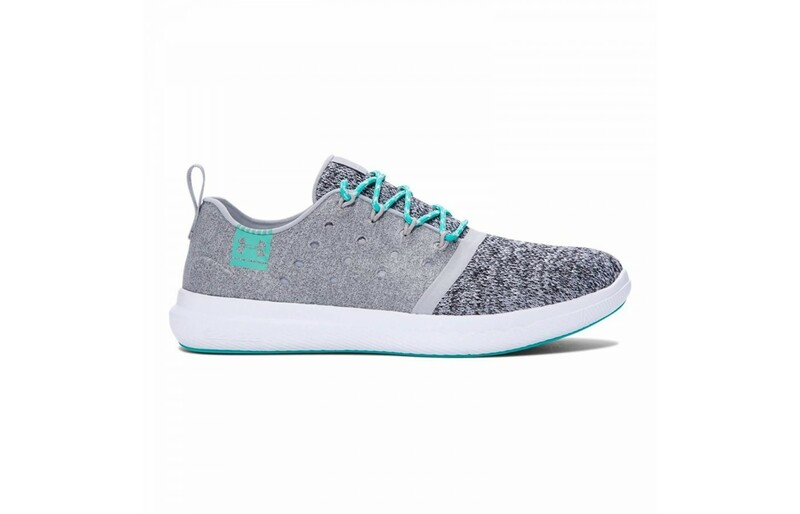 It's available in several attractive colorways and is the perfect shoe if you're someone looking to simplify your life with a running shoe that will look just as good on your feet while you're blazing by on the track as it does if you're browsing your local bookshop with a coffee in hand.